As a landlord or property owner, it’s your job to ensure that your building and residents are secured at all times. This can be difficult to do if you’re still using a standard lock and key system. Unfortunately, a lock and key system is not as secure as you need it to be. 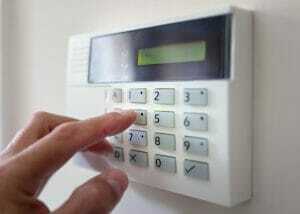 But with an access control system, you can ensure your residents are as safe as possible. If you’ve been wondering about the access control systems Portland OR residential building owners trust, let’s take a look at a few key benefits these access control systems can offer. Reduce costs of lost keys. When a resident loses their key or moves out without returning their key, this turns into a big problem. Without the returned keys, you will be responsible for changing the locks and getting new keys. While this is necessary for security purposes, these lock change expenses can quickly add up. But with an electronic access control system, you don’t have to worry about lost or unreturned keys. You will be able to simply remove the resident’s access from their card and create a new access card if necessary. Property owners and managers who utilize the best access control systems Portland OR can offer save significant amounts of money on lock change expenses. Control who can go where. If you have a large building, or even multiple properties, there may be areas you would like to limit resident access to. While there are communal areas that all residents can have access to, it may be beneficial to allow resident access to only their specific area in the building. Additionally, there may be staff-only locations and storage rooms that you want to prevent residents from entering. Luckily, an access control system can allow you to do that. By simply adjusting which areas residents have access to in the system, you can ensure their access cards only allow them to enter approved areas. This promotes safety and protects any secure areas in the building. Prevent strangers from entering the building. Especially with large buildings, it can be difficult to ensure only residents are coming and going. This can make it easy for strangers to enter the building undetected. However, an access control system can allow you to run a report on who has used their access cards when and where. Furthermore, without an access card, a stranger could not simply walk into the building. This keeps your residents safe and secure. Your residents will feel better about living in the building knowing their family is protected against strangers wandering into the building undetected. Minimize the risk of theft. Buildings that use standard locks and keys are at a greater risk for theft. Unfortunately, locks are easier to pick and enter with ill intent. With FBI data showing that about 58.3% of burglaries in the United States are done using forcible entry, this is a major concern among residential buildings. But with only residents having access to approved areas, this can significantly reduce theft and accidents on the property. Not only are your residents protected from strangers, they’re protected from other residents as well. Strangers will be unable to enter the building without an access card, ensuring your residents and their belongings are protected. As you can see, access control systems can offer a variety of benefits to residential building owners and managers. With regular lock and key systems, you’re risking the safety of your residents and their belongings. But by utilizing the help of the best access control system Portland OR can offer, you can ensure your residents will be protected from outside harm.